At lunchtime, I go out for a short walk. 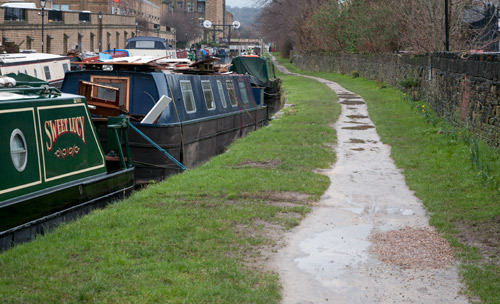 Work is just outside the town centre of Huddersfield, right by the University. Surprisingly, the countryside is really close by, and it can be explored during a lunch break. Today it is raining, so I will get wet. Photos and map will be added when I get back. 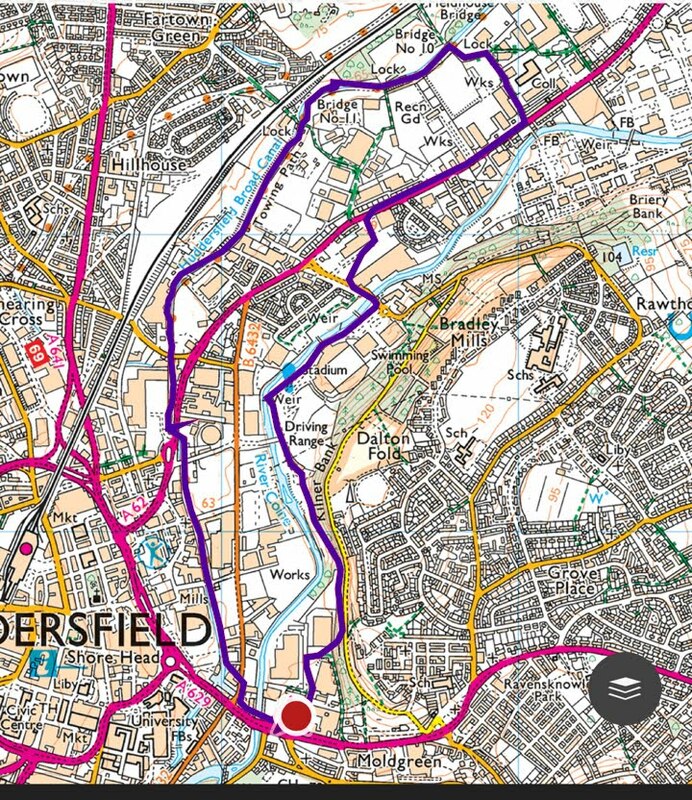 This circular route can be started anywhere along the route, and you can go in either direction equally well. I set off from the car park at the Asda supermarket, and crossed over the river to Aspley Marina. 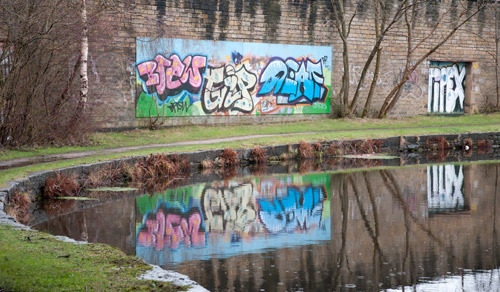 The route then follows the canal bank to Lock 9 about 2 miles along the tow path. 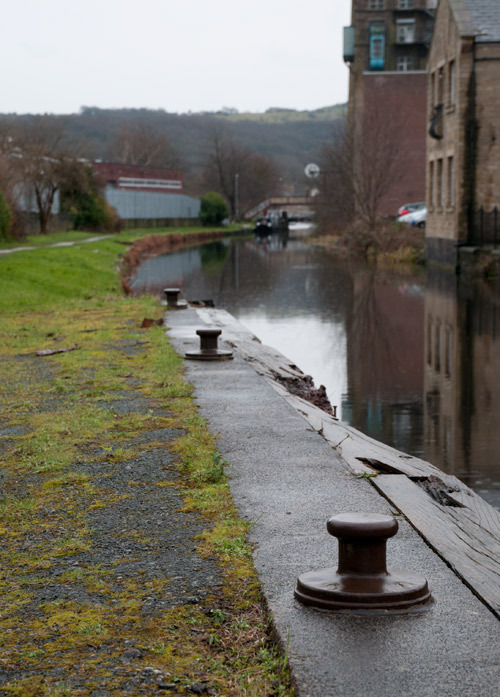 Along the way you realise how much the canal is tied to our industrial past. 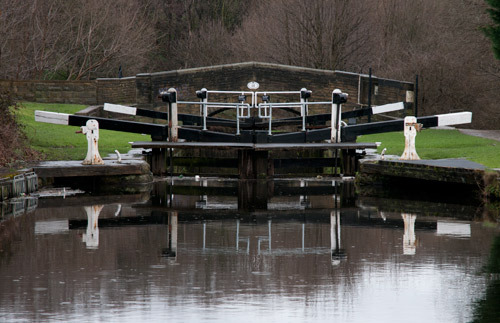 Although it is now tranquil and teeming with wildlife and birds, you pass by areas built to be served by the canal, and still used for industry today. 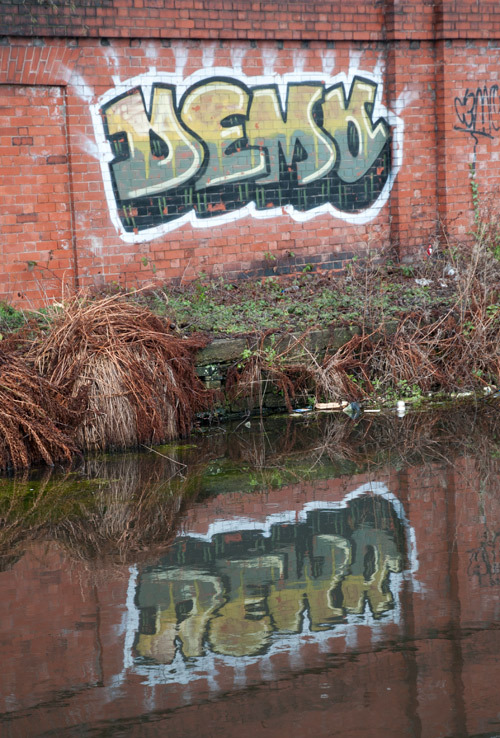 The canal area has been maintained and a lot of work is in evidence where cleanup and tidying has been undertaken. This leaves you with some great views, although, as usual, certain people feel the need to decorate the area. 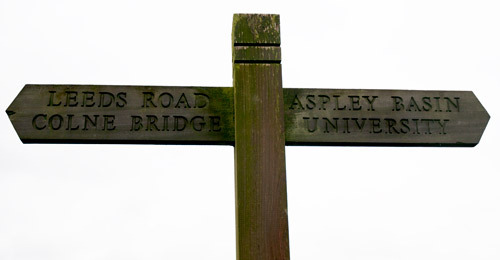 If you want, you can cross Leeds road here, and head back along Gasworks street and St Andrews Road. But we are going further, along past the incinerator, and past our second turn around point at Vine street. 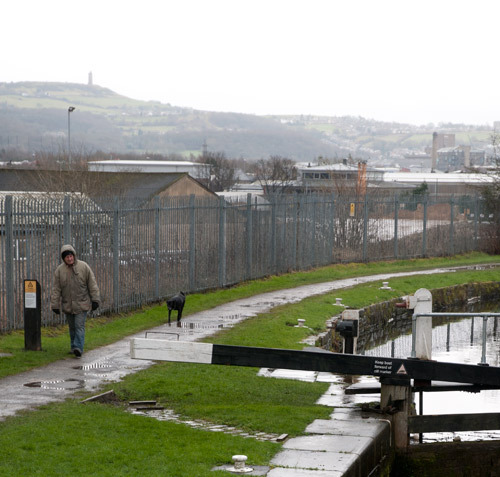 Leaving the canal, and heading back along Leeds Road, there is not much of interest unless you are hungry, then you can avail yourself of McD or KFC. It gets pretty again as we approach the Stadium. 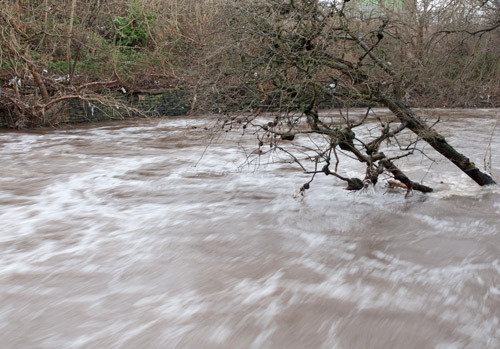 Today the river is quite full. The walk ends with a short stretch following the Riverside walk, which passes the Golf range, and brings you out on Silver street, right next to the Asda car park. The weather wasn’t too bad after all. It drizzled all the way, but never got particularly heavy.